Aixcentric – the 1000th Post! This blog was started in September 2011 on a whim. I was just exasperated about the lack of information on what was happening locally. If lucky, you could stumble across something good happening, purely by seeing a chance poster tied to a lamp-post or catching an article in La Provence. So I decided to blog everything interesting that caught my eye. And there has been so much of interest with things changing fast in the five years of blogging. Just look at Marseille! Back in 2011, the area along by the docks was a dusty bit of wasteland. Now we have brand-new MUCEM and the renovated Fort Saint-Jean together with its fast-growing Mediterranean garden; then there’s the Musée Regards de Provence dedicated to local artists; and so much retail therapy in the form of the glossy Terrasses du Port, the shops in Les Voutes under the Cathedral along with the outdoor cafés, and the wonderful Les Docks which has such a New York vibe. The pedestrianisation around Vieux Port makes it so much better for strolling around sight-seeing plus the renovation of the Musee d’Histoire de Marseille adds narrative to this, France’s oldest city. There’s also a newly renovated Velodrome but perhaps this is not the time to dwell on l’OM! Hotel Caumont – just wow! the Hotel Caumont has added an elegance that was lacking in the art provision. There’s a five-star hotel and a few boutique hotels and apartments popping up; and as the student population soars, a growing range of options for lunch-time snacks. The pedestrianisation programme continues and two big parking-relais, Krypton and Malacrida, can hoover up cars. The system of public transport is pretty impressive. Across in Arles, the Fondation Van Gogh delights and the brilliant Musée Departemental Arles Antique has been awarded 3 totally-deserved stars by Michelin for its wonderful presentations of the town’s history. The Roman boat dredged up from the river just outside is now preserved with its contents and on show in a special area, not far from the head of Julius Caesar, also fresh from the Rhone. And talking of him, the erstwhile dusty Hotel Jules Cesar has had a great redesign courtesy of local fashion-supremo Christian Lacroix. But it still feels difficult to keep tabs on what’s on and what’s new. There’s a multiplicity of websites now, mostly up-to-date, but it still feels that there’s room for co-ordination and some proactive communication. When tourist offices and PRs can’t or won’t put writers and bloggers on email distribution lists, there’s something amiss. And interestingly the tourist offices across Bouches du Rhone, when surveyed after the ‘2013 Year of Culture’, said that the biggest challenge they had was lack of communication on what was happening in the programme. So they were in the dark too! Which didn’t help the hotels and events organisers trying to arrange programmes weeks in advance for holiday-makers, business-people and conference-organisers. Congratulations and keep up the good works! Thanks Johan – I like a challenge! Thanks Chris…it’s actually quite good fun keeping up with things round here! See you on the boat! I don’t livein Aix, but I love your post and find lots of tips and helpful info. Thank you. Keep it up. Glad it’s useful. Perhaps you will visit Aix soon? Dont know what we’d do without aixcentric. You are our source for what’s going on, and what we should do on weekends! Thanks so much, and keep up the good work/digging for info…. So glad you were inspired in 2011 – we’ve certainly benefited from your insights through the years! Keep up the good work – and thanks! There’s so much to write about inAix…we are lucky! I always look forward to opening a new post when they ‘pop’ up – thank you and bonne continuation! Thanks Deb….I enjoy doing it too! Thank you so much for being inspired to create this blog. As others have said- don’t know what we would do without it. We don’t live in France- just have a 2nd home near Aix. But it is so helpful to know what to look forward to when we are in France. (And coincidentally, the start of your blog was at the same time as our house purchase). 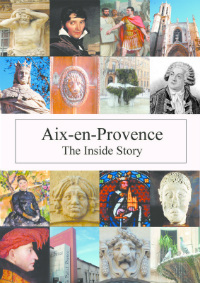 And we also very much appreciated your book about Aix. I’m so glad it’s been useful. It’s a bit of a challenge at time but enjoyable. Thanks for your comment! Merci for your blog and your effort to include info in a zippy presentation. 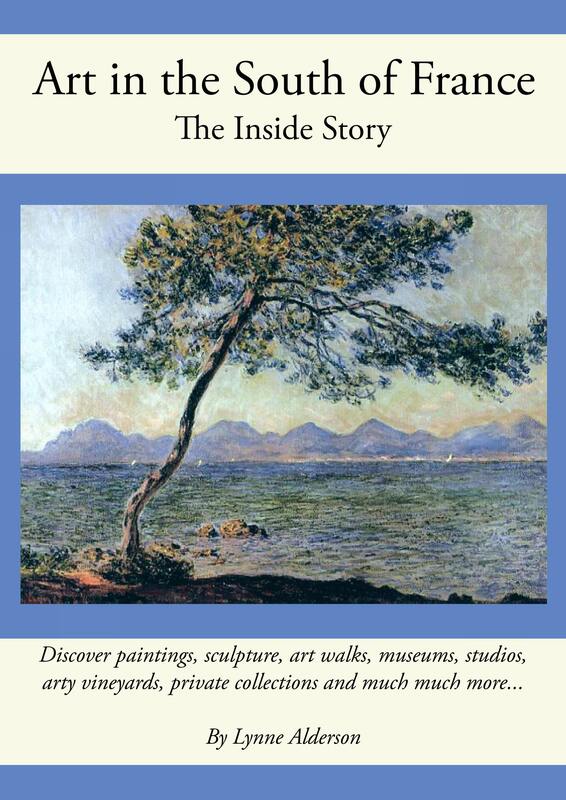 It helped when I stayed in Aix and it has sustained my interest to return. Thank you for your kind comment. So pleased it helped your hols. What a nice comment, thank you. I do enjoy doing it…..I like a challenge! Hi Jennifer, glad in keeps you in touch….though it sounds like you are having fun in our twin town! I miss checking our new places in town with you! Thanks for the kind comment….glad it’s keeping you in touch ! Very grateful to you, Lynn, and very impressed by your bloodhound instincts for tracking down what is going on in Aix. Like you, I am continually amazed at the lack of communication of the tourist authorities! In spite of repeated pleas to be added to distribution lists both as a writer for the Guide Gantié and as a tour organizer, rien ne se passe! So keep sleuthing for us all! Thanks for the kind comments Ester. I keep hoping things will get better – and some tourist offices aren’t too bad – but it seems like the big ones are the least communicative. So I’ll keep on sleuthing! !